If you're thinking about taking a first-time or independent trip to Europe, it can be fun just planning, researching, and finding the best spots to check out like hidden gems or "must-sees." It can be magical to develop your own tailor-made itinerary. Independent travel is usually cheaper and more rewarding than signing up for a coach tour of Europe. Yes, you have to do some digging, but in the end, you end up planning the things you want to do, not the things someone else wants you to do. A timeline, divided into time segments with deadlines, ensure that you handle all the basic tasks that you need to and in a time frame that's manageable and keeps your costs in check. The time is nigh. The idea has been in your head for months, maybe even years. You want to go to Europe. You have some extra time, you have some extra money. Start planning for your trip in six months—right now. Choose a destination: This is obviously your biggest task. Once you pick a place, then you can start setting a budget. You can start determining how long you can spend there, what you want to see, and how you plan to travel. Set the date, the rest flows from that. European guidebooks: Once the location is selected, then get your guides, read online about Europe's top cities and compare costs between places. 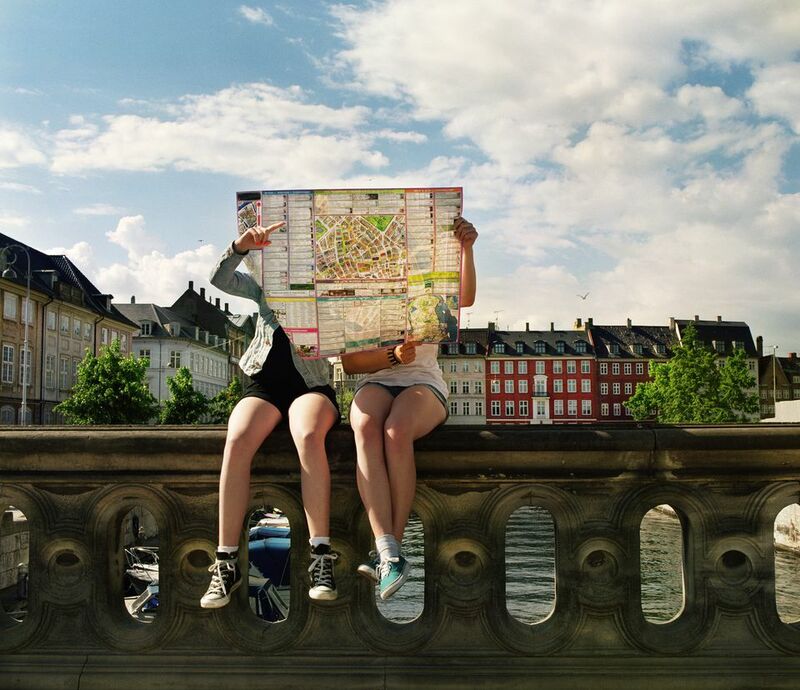 If this is your summer after high school graduation, check out some of the best European destinations for the younger scene. Rent a vacation house: If you plan to stay for a week or more, look at weekly rentals or (if staying longer) a monthly rental at a vacation house. A vacation house rental can be a big money saver for traveling families. Learn some of the language: It is courteous in all countries to learn the basics like polite greetings or general statements like, "Do you speak in English" in another language. Three months have gone by since you decided you were going away. Now it's time to get your flights booked. Find the best airfare: Booking flights between three and four months before you leave is your best bet for the best fares. The sooner, the better. Apply for a passport: If you do not already have a passport, then now is the time to put in that application and get it going. The passport office says to allow six to eight weeks for processing time, but add a few weeks in case it gets lost in the mail or an error hangs you up. Jot down an itinerary: Plot out some highlights you want to see while at the destination. Mapping this out now will help you figure out if you will need to get a car rental, learn public transportation, or if you can walk it. Make sure you have good walking shoes: You'll be walking a lot in Europe, so it's time to think about good, solid walking shoes that you can wear in several situations like day and evening. Two months before you go, you will need to figure out where you will stay and how you will get around. Hotel reservations: If you did not book a vacation house several months beforehand, then now is the time to make sure you have accommodations. Since you have a general idea what you want to see while there, you can look at getting a hotel near your list of must-sees. Transportation: You need to determine what will be your main mode of transportation while at the destination. Will you take public transportation? Will you rent or lease a car? Will you visit several countries and need to travel the rails? Book it. Time is ticking down. You should already have your airfare booked, your accommodations should be reserved, and your transportation plan is locked down. All that is left is all the other stuff. These things seem like little things but still, require your attention. Luggage: You need to determine how much luggage you will need, how much you will bring, and how you will lug it around. Money and budget: This is a good time to check your bank balance and make sure that you will have the money you estimate you will need per day once you develop your spending budget. Travel Insurance: If you're going to Europe, then chances are high that you spent a lot of money on this trip. Protect your investment. If anything goes wrong on your trip or before you leave, it's a good idea to spend a little to potentially save yourself hundreds of dollars if something should go wrong. All your planning has paid off. You are just about ready to go. Look over a final checklist to make sure that you do not miss anything important. Call your credit card companies: Credit card companies need an alert that you are planning to leave the country. It can be so embarrassing if your card gets frozen when you go to use it and you really need to. In an effort to protect your account against fraudulent use, foreign country usage is a red flag for credit card companies. Take Medications? Write down the details of your medications, brand name, generic name, dosage, and usage instructions. If you should need a refill abroad, this is important for foreign pharmacies. What to bring: Pack light, pack right. Use a packing list and stick to it. If you have a tendency to overpack, then tell yourself that. Go back to your bag, remove items. Take a look at the Department of State travel warnings (if any) for your chosen destination. Can a Eurail Pass Save You Money in Eastern Europe? Should You Buy Eurail Tickets & Passes or Country-by-Country Train Tix?